Always liked creed. It's possible this is another of my songs. Not totally sure about this one again. 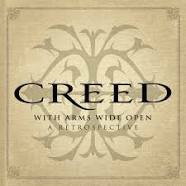 Check this out if you've never heard creed before. I am Soldier in the War on Death.